Manouria emys is included in CITES Appendix II with all Testudinae spp., allowing international commercial trade in the species provided such trade is not detrimental to the species, and subject to national trade legislation. It is also included in Schedule IV of the Indian Wildlife (Protection) Act of 1972 (amended); it warrants revision to Schedule I. The species is protected under the Wildlife Conservation Act (2010) in Malaysia and trade is regulated. Manouria emys is protected under domestic legislation in Myanmar and under the Wildlife Preservation and Protection Act (1992) in Thailand. It is expected to be included under Government Decree No. 7 in Indonesia soon; in 2017 Indonesian quotas were set at 50 animals, under 20 cm, for the pet trade. In India, the Nengpui Wildlife Sanctuary, North Cachar Hills and Nongkhyllem Wildlife Sanctuary are known to support wild populations in less disturbed habitats (Ahmed and Das 2010). In Bangladesh it occurs in the Sangu Wildlife Sanctuary (Rahman et al. 2015). In Myanmar, M. emys occurs in at least one protected area: Rakhine Yoma Elephant Sanctuary. In Thailand, the species occurs in several protected areas, including: Kaeng Krachan National Park, Mae Wong National Park, Khlong Lan National Park, Khao Pra Bang Kram Wildlife Sanctuary, Umphang Wildlife Sanctuary, Huai Kha Khaeng Wildlife Sanctuary, protected areas in the Nakhon Sri Thammarat mountains, and Bang Lang National Park in southern Yala Province (van Dijk and Thirakhupt 1995, Wanchai 2008; P.P. van Dijk pers. comm.). In Peninsular Malaysia, it occurs in one protected area: Taman Negara National Park (Lim and Das 1999, Norsham et al. 2000). In Indonesia, the species occurs in three protected areas: Gunung Leuser National Park, Danau Sentarum National Park, and Kerinci Seblat National Park. In Sabah, Malaysia, the species occurs in at least two protected areas: Tabin Wildlife Reserve (Høybye-Mortensen 2004) and Danum Valley Conservation Area (Lambert and Howes 1994). Assurance colonies of M. emys exist both in-range and ex situ, but maintaining large enough groups in captivity to maintain genetic diversity is beyond what is logistically feasible. Three such facilities currently exist in Myanmar alone, with others established or proposed throughout southern Asia. A large assurance colony of 24 M. e. phayrei has been established at the Zeepin Forest Reserve in Shan State, Myanmar. An assurance colony composed of village-confiscated M. e. phayrei has been established at the Rakhine Yoma Elephant Sanctuary in Myanmar. 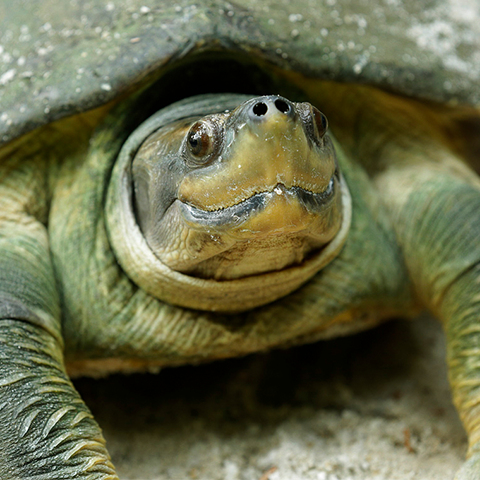 A much large assurance colony has been established at the Mandalay Zoo in Myanmar, which will be stocked with confiscated animals (Turtle Survival Alliance, unpubl. data 2012). Captive breeding by animals currently maintained in captivity can easily meet hobbyist market for this species, and a complete trade ban on wild-collected animals should be considered. Captive populations are kept in a variety of zoos and other facilities (India, Sarawak), and can form the nucleus of captive breeding programs for eventual re-introduction. Training on husbandry and captive management is needed, as well as development of a strategy to replenish wild populations with captive-produced specimens. The survival of the species outside protected areas seems unlikely, and effective protection of existing and perhaps additional protected areas will be key to its survival in the wild. Additionally, raising public awareness and utilising eco-tourism techniques may help to reduce poaching in protected areas. Additional survey efforts are needed across the species range. As the species occurs mostly outside protected areas or within exploited protected areas, community-based conservation could improve the conservation scenario faster in the northeast India (M.F. Ahmed pers. comm. 2010). Updated status, especially in protected areas, is urgently needed, and more ecological information is desirable, as is detailed range-wide genetic and taxonomic characterisation of populations, particularly regarding subspecies in northeast Indian states. Captive breeding programs are required in Indonesia to sustain the population. Manouria emys occurs from Bangladesh and northeastern India through mid-elevation hilly areas of Myanmar, and western and southern Thailand through Malaysia and Indonesia (including Sumatra and Borneo) (Iverson 1992, Platt et al. 2018). Its presence in Brunei is uncertain. Records from Lao PDR, Viet Nam and southern China likely refer to M. impressa and/or traded animals. The subspecies M. e. emys inhabits Thailand south of the Phang-nga-Surat Gap, Malaysia, Borneo and Sumatra. The subspecies M. e. phayrei occurs from Peninsular Thailand northwards through Myanmar to the northeastern Indian and eastern Bangladeshi hill tracts. Nearly all accounts of Manouria emys note it to be uncommon, rare or very rare, and declining: interviews indicated that forest labourers and hunter-gatherers in northeastern India and eastern Bangladesh would find between one and six animals per year, even when using dogs to find the tortoises; some of this information pertained to the 1980s (Das 1991, Choudhury et al. 2000). In 2018, the Singapore Workshop Participants considered M. emys overall Endangered in India, with a declining population trend. Recent records from India are only from Manipur, Mizoram, and Assam. Only three records of wild individuals have been reported in Assam since 2010, which have all been relocated to the zoo; and ten records from Manipur (S. Singh pers. comm 2018). It is considered Critically Endangered in Bangladesh and Myanmar (Participants, Singapore Red List Workshop 2011) and is apparently extirpated in the western side of Myanmar (K. Platt pers. comm. 2018). It was considered ‘rare’ in Indonesia by Samedi and Iskandar (2000) and very rare in Sumatra. It has been recorded in trade in Malaysia since 1989 and it was considered to occur most commonly in sparsely-populated hill and mountain areas. Low collection rates of a few animals per year were reported by hill tribe hunter-gatherers in western Thailand in the early 1990s (Thirakhupt and van Dijk 1995). Taylor (1970) noted that ‘These large turtles are now becoming rare in Thailand'. In 2005, the species was assessed as Endangered in the ONEP Red Data. More recently, Wanchai's (2008) study in the well protected Kaeng Krachan National Park in Thailand found 15 individuals in a 1.5 km2, suggesting that relatively high densities may occur in appropriate habitat without human pressures. In central Borneo, the species is not rare in good forest habitats (I. Das pers. comm. 2018). In northeast India, the local communities are reporting fewer captured individuals for this species, although no data on population size or trends are available (M.F. Ahmed pers. comm. 2018). A few juvenile and adult individuals have been collected in the border of Bangladesh and Myanmar. 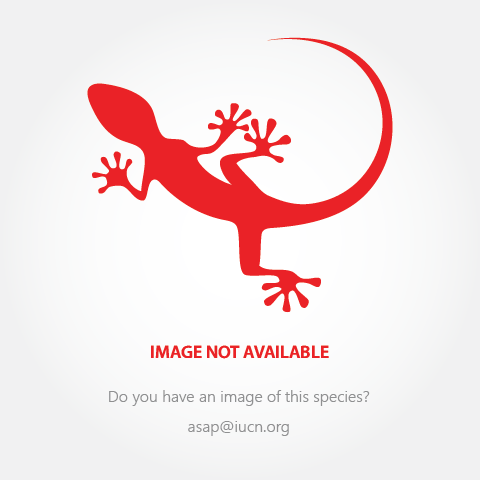 No population data appear to be available for the other portions of the species' range. Participants of the Singapore Red List Workshop (2018) suspected over 80% reduction in population has occurred over the past three generations (135 years) and will continue for at least another generation due to exploitation pressures and reduction in area of occupancy as a result of habitat degradation. Manouria emys is generally killed and butchered on the spot for its meat whenever encountered by local hunter-gatherers through much of its range, as well as collected for export trade for consumption in East Asia. Some wild-caught animals occur in global pet trade. 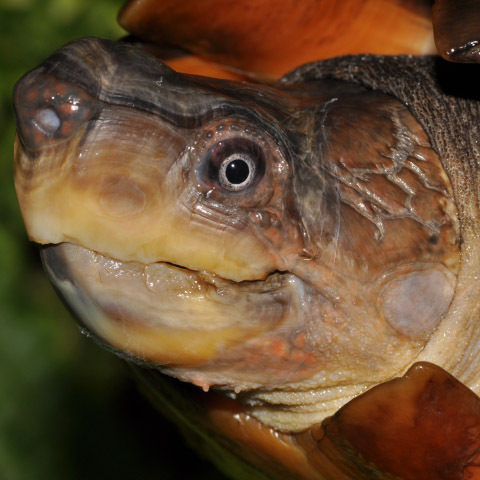 The Turtle Survival Alliance confiscated 65 M. e. phayrei in Myanmar recently (Stanford et al. 2015). A total of at least 507 live specimens, in seven shipments, were reported as seized from illegal trade during the period 2000-2015 (CITES CoP17 Doc73). This species is also threatened by shrinking habitat availability as lowland and mid-elevation evergreen forests are degraded and lost through logging, clearing for agriculture, forest fires, and hydroelectric dams and reservoirs and associated infrastructure, although its preference for rugged wet montane forests may offer some protection (Moll 1989, Thirakhupt and van Dijk 1995, Choudhury et al. 2000). In Northeastern India, most of the habitat exists in Reserved Forests outside protected areas, where slash and burn agriculture is in decline, being replaced by horticulture. Organised large bamboo-cutting efforts in forests impact the tortoises both by removing a prime food resource as well as the increased disturbance and detection probability. Ethnic violence is a regional issue, and resettlement sites tend to be located in forest areas. In Mizoram, at least ten individuals collected from a proposed dam site were held captive in Aizawal Zoo for ex situ conservation (M.F. Ahmed pers. comm. 2018).